Angels eagerly watch over Annie Fletcher's every move. She just doesn't know it yet. When Annie Fletcher returns to Charleston to see her younger sister, Sarah, receive her master's degree, she finds herself riding in the back of an ambulance, watching helplessly as Sarah fights for life. During the ride, Sarah appears to talk to someone who is not there, humming a melody Annie has never heard before. Neighbour Ethan McKinney is there to lend a shoulder when Sarah unexpectedly dies. And as a carpenter, Ethan volunteers to help Annie get the Fletcher family home into shape for selling. Ethan's presence is distracting, but what troubles Annie is her neighbour Tammy's 12-year-old son. Keith has Down Syndrome and the guile to believe he can see and hear angels. God begins to reveal Himself to Annie - both in her newfound friends and through heart-rending and clearly supernatural events. Annie discovers faith in God, finally experiencing the comfort that His angels really do surround us. 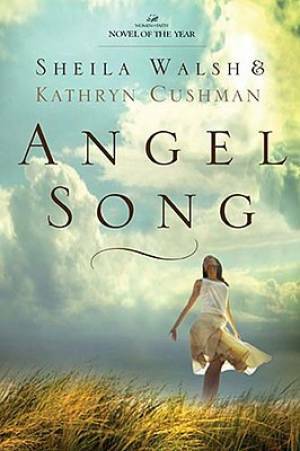 Angel Song by Kathryn Cushman; Sheila Walsh was published by Westbow Press in August 2010 and is our 15652nd best seller. The ISBN for Angel Song is 9781595546852. Be the first to review Angel Song! Got a question? No problem! Just click here to ask us about Angel Song.